Toyota - PT. 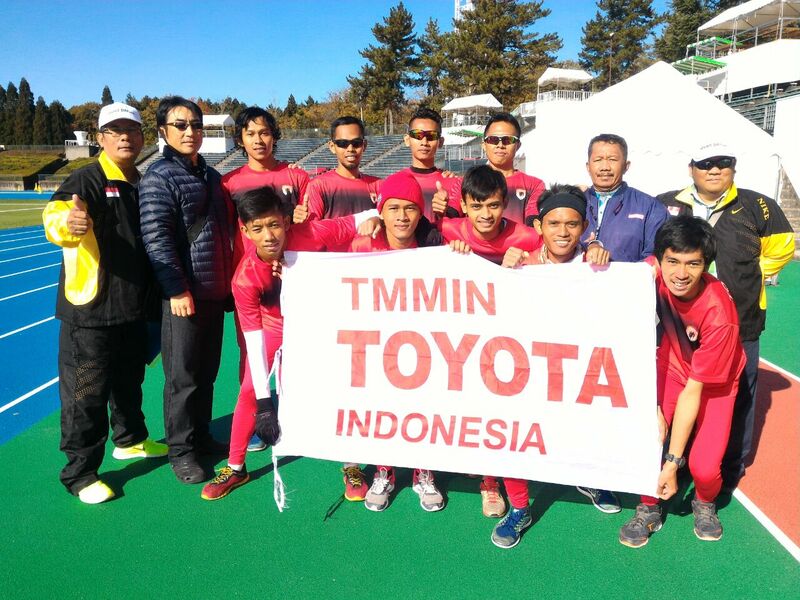 Toyota Motor Manufacturing Indonesia (TMMIN) once again participating in the Ekiden race held by Toyota Motor Corporation (TMC) in Toyota City, Japan, on December 4, 2016 ago. Ekiden is a running competition between groups with the aim to tightening the friendship all over the world from Toyota affiliates. This year is the 4th year for TMMIN in participating in this event with a group of 400 who participated in it. TMMIN send a representative group consist of 8 members and 4 TMMIN official to compete in the category of General (long course). The team managed to reach the finish line in a time of 1 hour 50 minutes 10 seconds for the distance of 30.53 km. The event that was hosted by TMC, is not purely a competition for the champion, but more likely to create and improve the unity and cooperation of the Toyota team in the world. The path that taken by all of the participants described as the rise and fall of a company in the business process and the finish line that reached is an achievement of the goal of the company.